MANILA (October 22, 2018) -- Senator MANNY "Pacman" PACQUIAO, boxing's only eight-division world champion, announced today that he has entered into an exclusive agreement to work with manager / advisor Al Haymon.The new alliance will have team Pacquiao and Haymon work together to navigate the remainder of his illustrious career. Pacquiao's first defense of the World Boxing Association welterweight world title will kick off the new partnership and will have Pacquiao appear on the Premier Boxing Champions series. Pacquiao's promotion company, MP Promotions, will promote all of his upcoming bouts under this new alignment with Haymon. "MP Promotions is very excited about this last phase of Senator Manny's Hall of Fame Career. We look forward to launching this new relationship with Manny's first world title defense," said Joe Ramos, who heads MP Promotions. "I would also like to acknowledge matchmaker Sean Gibbons, legal counsel Tom Falgui, and Senator Manny's aide Steve Jumalon for their tireless efforts and invaluable advice." Pacquiao, a three-time Fighter of the Year and Boxing Writers Association of America's reigning Fighter of the Decade, will return to the ring early next year. The fight, which will be announced soon, will be co-promoted by MP Promotions and TGB Promotions. Pacquiao (60-7-2, 39 KOs), who hails from Sarangani Province in the Philippines, is the only sitting Congressman and Senator to win a world title. After serving two terms as congressman, Pacquiao was elected to a Philippine Senate seat in May 2016, capturing over 16 million votes nationally. 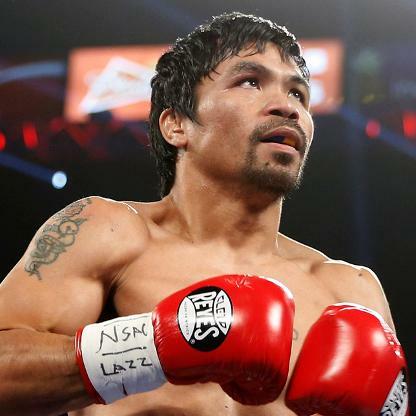 Pacquiao's boxing resume features victories over current and future Hall of Famers, including Oscar De La Hoya, Ricky Hatton, Marco Antonio Barrera, Erik Morales, Miguel Cotto, Shane Mosley, and Juan Manuel Marquez.